EDI transaction processing - Integration, Inc. The 810 edi transaction Invoice is the electronic version of the paper-based invoice document. The edi X12 820 transaction set provides the edi format for transmitting information relating to payments. The edi 832 Price/Sales Catalog transaction set is used to electronically request or provide the prices of goods or services. The 850 edi transaction is a Purchase Order transaction set, used to place an order for goods or services. The 852 edi transaction set is the standard data format for providing trading partners with product SKU activity data, such as inventory level, sales levels, etc. The edi X12 855 transaction set is a Purchase Order Acknowledgement. It is used by sellers to confirm the receipt of a purchase order via the 850 transaction set. The 856 edi transaction is more commonly called the Advance Ship Notice or ASN. 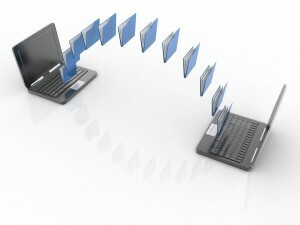 It is utilized to electronically communicate the contents of a shipment. The 860 edi transaction set represents the electronic Purchase Order Change Request. It is used by buyers to request a change to a purchase order. The 867 edi transaction set represents a Product Transfer and Resale Report. It is used to provide information on a product that has been transferred or re-sold. The edit 997 transaction set, known as the Functional Acknowledgment or FA, is sent as a response to another edi transaction being received. Contact us today for more edi processing information.